Andrew Wilson had only been in the Air Force for six months when he went to his local education service center and heard about an exam that would grant him college credit for material he already knew. So he decided to try his hand at one — then two, three and, eventually, more than 10 — in subjects like sociology, literature, math and history. He then applied the 42 credits he earned through the College-Level Examination Program, or CLEP, toward an associate degree in aviation maintenance technology from Community College of the Air Force. He graduated within a year and a half of joining the military. "It was a really big advantage in the way of time savings," Wilson said. "I could do in six hours what most people would do in three or four months." Wilson finds it sad that more airmen who have been in the service a lot longer than him haven’t finished their college degrees, since the military considers education for promotion. "A lot of them haven’t taken CLEPs, and if they did maybe they’d be more motivated to continue on," he said. According to a new study, the 26-year-old staff sergeant may be onto something. In "CLEP Me Out of Here: The Impact of Prior Learning Assessments on College Completion," researchers evaluated more than 800,000 first-time CLEP exam takers and found that students who passed one exam were more likely to earn their degrees than those who did not. Among military students who took a CLEP exam, the ones who passed were 12 percent more likely to complete their degrees. The odds were highest at the associate degree level: Military students who earned credit through CLEP were 18 percent more likely to graduate. The study — which focused on demographic groups not often the subject of research — also found significant completion gains among nontraditional students over age 24. The study looked specifically at students who barely passed or barely failed the exam, allowing researchers to compare students who were the most similar in academic ability and test preparation. About a quarter of the cohort studied were military service members or veterans. 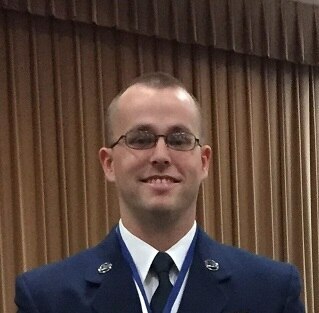 Airman Andrew Wilson has passed 10 CLEP exams, earning 42 credit hours toward his associate degree from Community College of the Air Force. A new study has found CLEP exams are tied to higher graduation rates among military students. Service members comprise about 30 percent of total test takers, according to CLEP developer College Board, and can take the $80 exams, often provided on military bases, for free under DANTES. That’s one reason the exam is a popular option for military students, researchers said. But it can also be an attractive alternative because service members are undergoing consistent training and education on the job. "The idea behind the CLEP is that they are providing this credit for prior learning assessment," said Angela Boatman, an assistant professor at Vanderbilt University and co-author of the report. "I think it’s in part just the nature of the exam — the fact that you’re able to get credits for things you already know — (that) lends itself to students who have experience." And while the cost-savings associated with the $80 test replacing thousands in college courses may not be as much of a motivator for military students who are eligible to receive tuition assistance as it may be for others, Boatman said the time savings are a big draw. Other research has shown that academic momentum, or speed through college, is a predictor of the likelihood of finishing, she said. 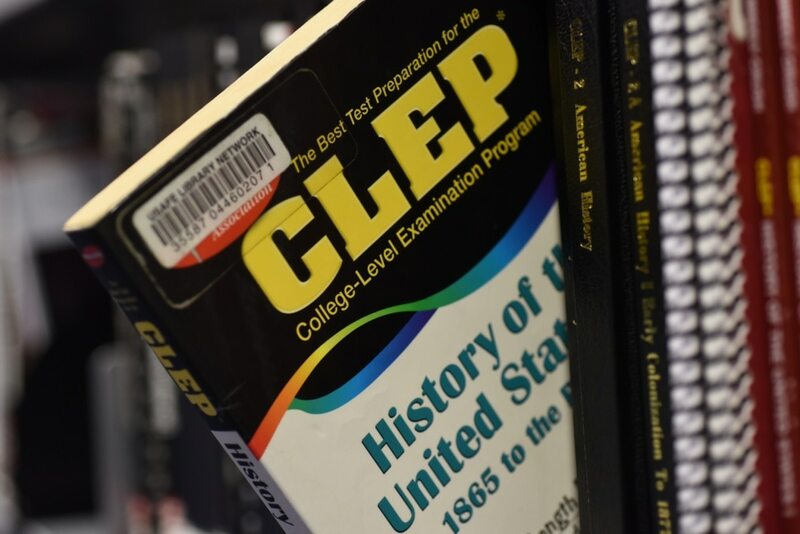 Among credit-by-exams programs and assessments that gauge students’ prior learning, CLEP subject tests were the mostly commonly accepted by the 439 colleges and universities that responded to a Military Times survey question on the topic last year. But not all colleges accept CLEP credits — something Elizabeth Oestreich, a former Arabic linguist in the Navy, found out the hard way. She took two CLEP tests toward her associate degree from University of Maryland University College long before she knew she’d end up furthering her education at the University of Washington, which does not recognize CLEP. "Some students know that they plan to go home, so they have an idea of where they’d like to apply," she said of service members who are transitioning out of the military. "I think it might be a good idea to know the (school’s) policy on CLEP." Oestreich, 33, said since the exams are free for service members, the practice can’t hurt. But she thinks some people in her situation could have benefited from better guidance and awareness that CLEP acceptance isn’t universal. Not all was lost for Oestreich, though. The college algebra and general biology exams counted toward her associate degree, and passing made her feel like she could succeed in the classroom. Wilson, now close to completing his bachelor’s degree, also noticed an added boost in confidence after passing multiple exams. "It’s motivation. It’s confidence boosting. It’s obviously great cost and (time) savings," he said. "Heck, I finished some of them in less than an hour."